Several days ago, I wrote an article in which I asked chipur readers to share their stories in a guest post. How powerful the sharing, learning, and healing opportunities! So what do you know. 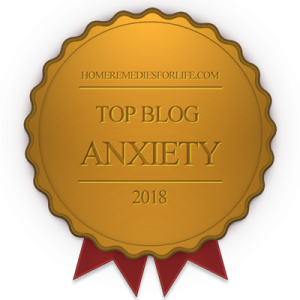 Here’s a guest post from mood disorder veteran, and blogger, Wendy Love. I know her message will hit you right between the eyes. Oh, you’ll find her bio at the end of the piece. Take a look at the featured image. This is where I choose to live. Actually, I don’t really live here – literally in Hope, British Columbia. But I do choose to live in hope, live with hope, and look for hope. I refuse to give up and give in to this old depression. Depression is an illness that could aptly be renamed “hopelessness,” because hopeless is how we feel when we are depressed. Yet, that very thing we feel we lack – hope – is the very thing we need to get us through depression. Hope might seem kind of a lame approach, not very proactive. But it is powerful stuff! Hope is an antidote to depression. Don’t forget that. Hope, if you can cling to it, cancels out depression. Without hope you couldn’t even begin to battle depression. “Once you choose hope, anything’s possible.” Any guesses on who said that? Christopher Reeves! Now there is someone who held onto hope in the face of seemingly insurmountable obstacles. You may ask, “Where did it get him?” While he lived, he lived with hope – that is a pretty fine thing. You probably agree that hope is a good thing. But you may be wondering just how to get some. I mean, it is an intangible thing, not something we can see or hold in our hands. But I am sure you agree that it is a good idea. If I lie down outside, and look up at the sky, I feel hopeful. I am reminded that this universe is bigger than me, therefore there must be something bigger than my problems. I am reminded that there is a God who created the immense sky, and I am in awe and filled with hope that maybe God might be interested in me too. It helps – it gives me hope. Is there some experience that makes you hopeful? Maybe holding a newborn baby, a kitten, or a puppy? When I was in the early dark days of my first marriage falling apart, a friend had a new baby and needed a babysitter. I had time on my hands and needed the money. Holding that baby was a healing experience for me. It gave me hope. Hope as medicine, now there’s an idea! Would you like to add it to your medical support? Sounds so simple and wonderful, to have hope bottled up for our consumption. And, really, getting some hope is simpler than you might think. Unlike luck, which seems to choose us, we choose hope. Unlike depression, which chooses us, we choose hope. We are in the driver’s seat. We are in control! 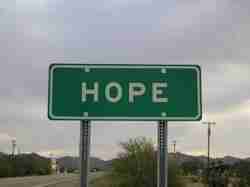 Hope is absolutely essential if you want to survive this illness of depression. You cannot stay hopeless all the time. You have to have breaks – “hope breaks!” What a “hope break” looks like would be different for each of us. What might give you hope may not give me any hope at all. You are going to mix your own “hope” medicine. I will give you two example situations that gave me hope. Every so often, I will get new resolve to talk to my doctor (again!) about my situation. Maybe I feel the need to try a new drug, or maybe I have read something that makes me question my diagnosis. Just having the new resolve to talk to my doctor (again!) gives me hope. So, new resolves, new ideas, fresh courage give me hope. Hope is anchored in the possibility that maybe, as a result of this new discussion, we may together come up with a new idea that may make a difference. Thinking about something I did well gives me hope. Last year my daughters took me out for lunch for my birthday. It was a milestone birthday, I was turning 60. But it had been a difficult year for my daughters. Their dad (my ex) had died in an accident and they are both busy young working moms with not much time to call their own. They took time away from their busy lives, and from their grief, to honour me in this way. Reflecting on something I did well gives me hope that my life has not been a complete waste, which is how I feel when I am depressed. So, have you decided to join me and live in Hope? Make it a one way trip! Don’t turn back. Don’t give up. Have hope. Choose hope. Find some hope. Hoping means wanting, and wanting means that you haven’t given up yet! Wendy, a retired teacher, was diagnosed with depression in 1996. The diagnosis was changed to bipolar disorder II in 2004. Eventually, she had to close her small arts and crafts business. As she says, “No work, no money, no purpose.” But Wendy discovered something she could do no matter how she felt – write! Wendy has been blogging since 2008, but has been writing all her life. 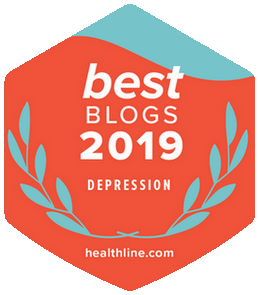 Her current project is her Depression Getaway blog, where she shares parts of her own journey and the things she has found helpful for depression in an upbeat, inspirational and personal way. More chipur Feelin’ Better articles are calling out to you. Just tap here to answer. Next Post: What Is It You’re Looking For? Previous Post: The Mental War: Are You Willing to Fight?